Founded in 2005 at UC Berkeley, Big Ideas has become one of the largest and most diverse student innovation competitions in the country. The contest supports the next generation of social entrepreneurs–providing mentorship, training, and the diverse resources required to support big ideas from their earliest stages. In 2017, to ensure the contest remains accessible to the widest number of students across UC’s ten campuses, the Big Ideas team designed an Innovation Ambassador program. Innovation Ambassadors are highly motivated students who have a keen interest in social entrepreneurship and want to support Big Ideas’ mission to help this generation of students develop social impact projects that matter to them. Innovation Ambassadors are responsible for Big Ideas outreach, event organization, advising, and research on their campus. Ultimately, they help aspiring student entreprepreneurs transform their ideas into viable ventures. Below are interviews with four current Innovation Ambassadors. 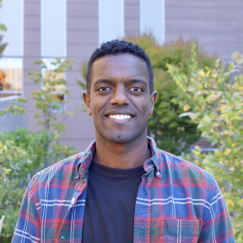 Mekdem Wright is an MBA candidate at the UC Davis Graduate School of Management and a social entrepreneur/intrapreneur. How do you see the future of social innovation and entrepreneurship? The future of social innovation and entrepreneurship is all about networks. Today, resources and assets–people, institutions, technology, infrastructure, and information–are in some contexts becoming increasingly centralized, consolidated, or concentrated, while in other contexts they are becoming increasingly decentralized, distributed, or modularized. We are seeing accelerated technological advancements and globalization, and our world is becoming increasingly complex and interdependent. With all of that, comes opportunities. We have powerful new tools and capabilities that, if leveraged effectively, will enable us to achieve heightened levels of efficiency and productivity. If those resources and assets can be properly arranged into a healthy ecosystem, they can act as catalysts to move beyond incremental change and activate exponential change. That requires social entrepreneurs, and the organizations in which they are working, to foster relationships, establish partnerships, and build coalitions across sectors, industries, and disciplines to engage all stakeholders in pre-competitive collaboration and cooperation, share learnings, and standardize best practices. It requires building the foundations and structures for networks to emerge, grow, and thrive, and developing models and frameworks within which to organize and coordinate activities. The solutions to most challenges lie in the collective knowledge of our global community. Solving the big, wicked problems of today requires stakeholders to break down silos, provide open access to information, connect, and engage–they are too urgent to double efforts and keep reinventing the wheel. How does participating in Big Ideas affect students’ professional development? Lectures and classroom exercises just can’t compare to this sort of hands-on, “learn-by-doing” experience–something I think we need much more of in our education system. Social entrepreneurship contests like this teach students much more than just how to start their own venture. They teach relevant, practical skills like critical thinking, research skills, analytical problem-solving, articulate communication, interdisciplinary collaboration, and leadership–all necessary for any professional. They foster confidence and intrinsic motivation. They bring like-minded students together to work on a self-guided project, which they get to define, design, and manage themselves. In today’s increasingly uncertain, complex, and ambiguous world, we should train students in an environment that is similarly so. UC Davis is a powerhouse for producing cutting-edge research and high-caliber students in the science and engineering disciplines. There are a wealth of ideas born here with great potential for positive impact. Contests like Big Ideas help students to build their own capacity to bring those ideas to life and reach their full potential. What has been your most interesting experience as an Innovation Ambassador? My favorite part of being an Innovation Ambassador was getting to interact with so many smart, passionate individuals and support them in their ideas. Getting a big-picture view of the entire network of innovators on the UC Davis campus was also eye-opening and inspiring. 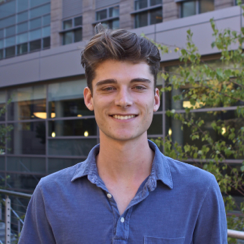 Thomas Lenihan is a junior studying biology and environmental studies at UC Santa Barbara. What drew you to Big Ideas and being an Innovation Ambassador? One of my close friends introduced me to Big Ideas several years ago. I was initially attracted by the program’s accessibility for students without much experience with entrepreneurship or social impact. Big Ideas helped me hone my ideas and focus in on an area where I could make an impact, and provided a new learning experience. Similarly, the Innovation Ambassador role was unfamiliar territory for me, but this uncertainty made the position all the more rewarding as I learned effective strategies to connect with and engage other passionate, forward-thinking students on my home campus. What are society’s most pressing challenges and solutions? The threat of climate change will bring with it a host of negative impacts on human societies. However, I also see current patterns of human consumption–from the ubiquity of planet-clogging plastics to the devastation of terrestrial and marine ecosystems as we log, mine, and harvest unsustainable surpluses–as the more pressing problem of our time. There is much work for entrepreneurs to do when it comes to diverting and restructuring this damaging pipeline of extraction to production to consumption to waste, and I believe the most effective products and programs are implemented on scales small enough for Big Ideas to have a significant impact. The mantra of thinking globally and acting locally is an important one: the primary way for businesses and consumers to reduce their carbon footprint is to ensure they know from where, and how far, the raw materials for their products are traveling. Ultimately, we must drastically reduce our natural resource consumption, both on an individual and societal level, and this cannot be done without alternative products and services, which are created with this goal in mind. At UC Santa Barbara, what are some of the social issues students are exploring? Our proximity to the ocean has a pull on many students, and a lot of prospective applicants want to address social problems that are in some way related to water. It was interesting to see among the Big Ideas proposals how many of the students gained their initial inspiration from ocean ecosystems or the human communities that relied on them. One thing you can get everyone to agree on is that our ocean is an invaluable resource, and it deserves protection. For many people, this means finding ways to minimize human impact on this environment. 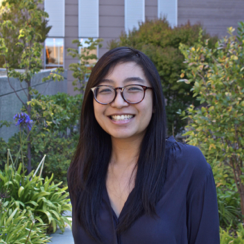 Amy Lui is a graduate student at UC San Diego earning a Master in Biology. 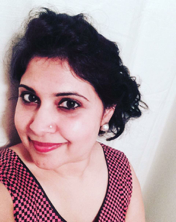 She is the founder and CEO of Partners in Life, which uses mobile technology to connect pregnant women to doulas. What excites you most about being a Big Ideas Innovation Ambassador? I started my own social venture, Partners in Life, because I noticed while serving as a volunteer doula at UC San Diego Health System that many expecting mothers weren’t getting doulas despite requesting them. I also discovered that this situation disproportionately affected disadvantaged mothers. This led me to try to find a way to connect mothers to doulas. I discovered Big Ideas in founding Partners in Life. Being an Innovation Ambassador has allowed me to be more involved with the campus entrepreneurial ecosystem and meet other like-minded individuals. I have also also able to connect with different networks on campus, and expand Partners in Life to rural villages in Nigeria and China. What are some challenges that students face in innovation contests? Telling a good narrative. Some students have difficulty cohesively expressing their ideas and sometimes that overwhelms them. This can discourage a lot of students from applying. Attending storytelling classes really helps; I highly recommended my students attend the workshop held by Big Ideas. What’s the most valuable experience you’ve had as an Innovation Ambassador? My most valuable experience was interacting and being more involved with the advisors, staff, and administration at UCSD. Through them, I was able to spread awareness of Big Ideas on campus, reach out to many students, and make our community more aware of social impact ideas. Parul Wadhwa is a MFA Digital Arts and New Media student at UC Santa Cruz. She has been a Big Ideas finalist twice, in 2017 and now in the 2018-2019 round. I was moving from art to social entrepreneurship when I came across Big Ideas. My social venture was a finalist in 2017, and I learned about the contest through that opportunity. Big Ideas’ mission and scope has aligned with personal trajectory as an artist and entrepreneur, and that was a huge draw for me to take on the Innovation Ambassador role. As an IA, it’s been exciting to connect with budding UCSC entrepreneurs and hear bright ideas for social impact. What ideas and issues particularly attract UCSC students? Many UCSC students are interested in art and social change. I’ve also noticed an increasing number of students interested in technology innovations due to UCSC’s proximity to Silicon Valley and its influence on the new wave of students. What’s the most valuable experience you have had as an Innovation Ambassador? My most valuable experience was working with and learning directly from Big Ideas Director Phillip Denny. I was able to strategize my role effectively and make sure students leverage the contest’s opportunities. The experience nurtured my interest in advising and mentoring undergraduates for social entrepreneurial paths. I’m grateful for this learning.